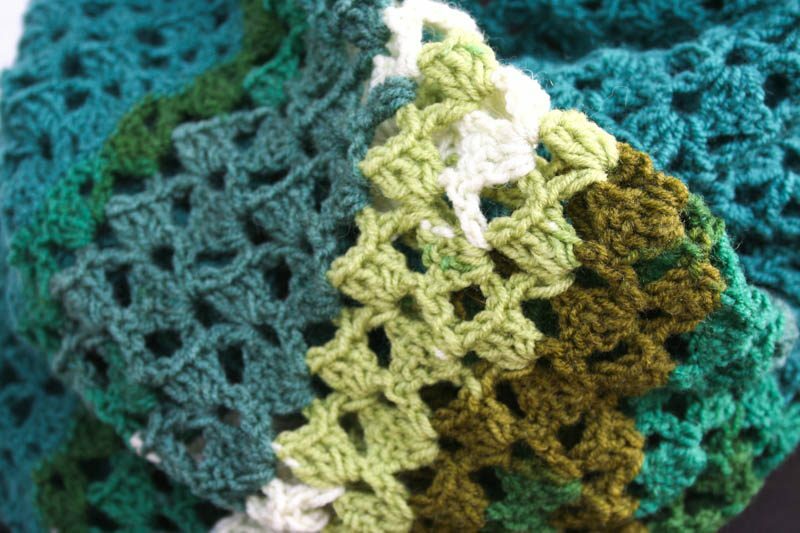 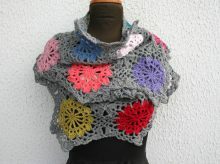 Crochet Amazon Forest infinity scarf with simple shell design stitch on every line. 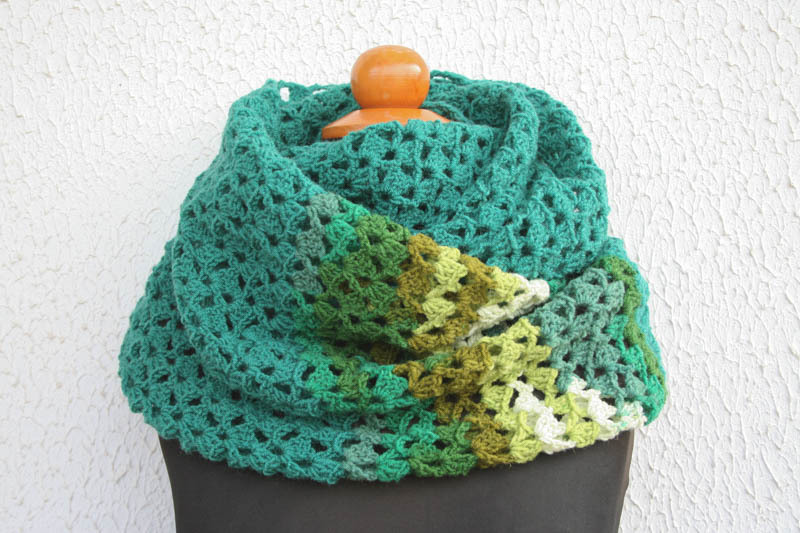 Crochet Amazon Forest infinity scarf with simple shell design stitch on every line. 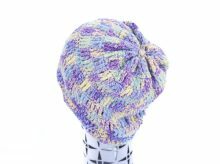 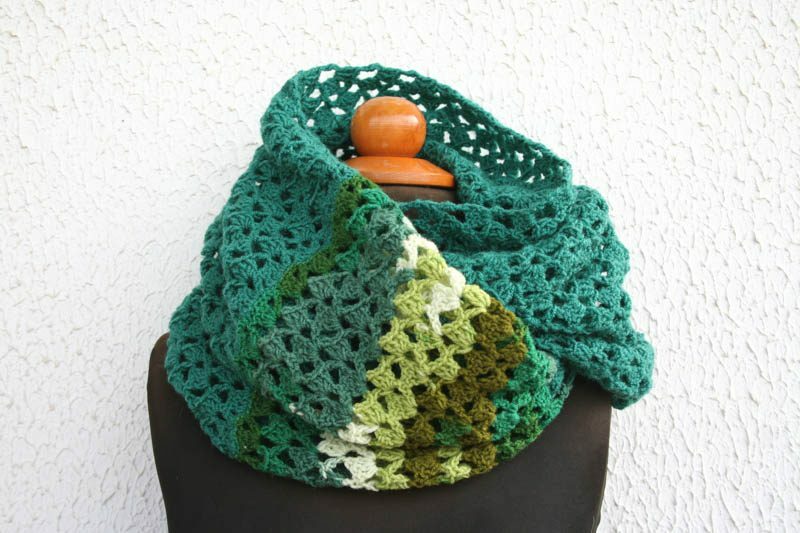 This handmade piece is only available one single item, made with a combination of acrylic and wool yarn in Amazon green forest colors. 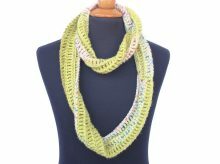 This infinity scarf can be circled twice around your neck, making it a very warm and fluffy neck accessories on cold Winter days.